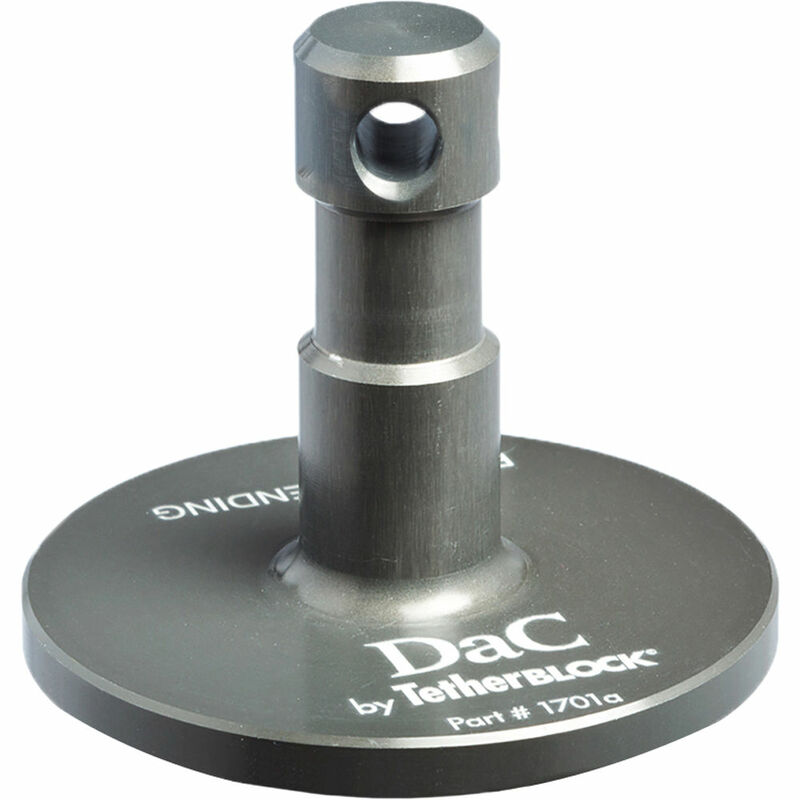 The hard-anodized, aluminum Tripod Stand Adapter from TetherBLOCK converts 3/8"-16 threads to a larger 5/8" stud, which allows you to mount a light, a monitor, or other accessories to utilize a tripod in a more efficient way. The adapter can be tightened down using an Allen wrench or screwdriver through the machined hole at the top of the stud. Box Dimensions (LxWxH) 6.5 x 4.1 x 2.2"